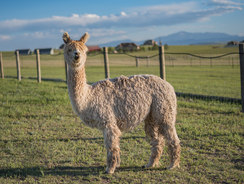 Openherd: Suridipity Ranch - Get great deals on alpacas in Openherd auction lots! 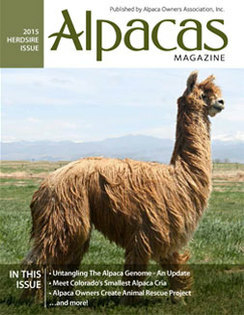 Where your alpaca "happenstance" begins! 1/4 Accoyo, 6x Champ, Mulitple Champion!! MAXX NOW HAS SIX CHAMPIONSHIPS!!!! CONGRATULATIONS MAXX!!! 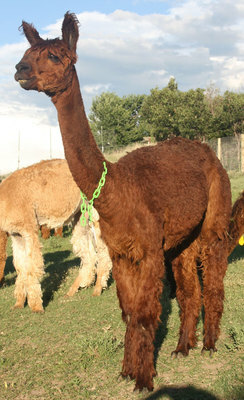 Book your breeding to get on the ground floor of his next cria crop! Sedona is a fabulous, rich maroon/mahogony brown with amazing luster and lock. Sedona stands out in our herd due to her sheer loveliness! Sedona is proven female with a history of easy births and copious milk. Sedona's grandsire is the one and only Mahogony Prince - so she comes by her amazing genetics honestly!! 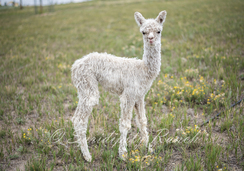 UPDATE: Sedona gave birth to a lovely female, Shambalah's Lady Marmalade!